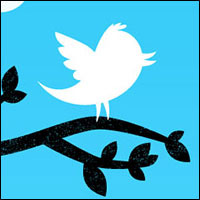 Twitter has taken the world by social media storm in the last 5 or so years since its inception. The micro-blogging platform is one with more followers than a large stick can be shaken at. Though, the original site is excellent, as are the translations of the app to iPhone and other platforms, there are still a number of third party apps that can really add to the twittesphere and your experience with Twitter. We check out the very best Twitter apps for iOs. Originally formulated in Silicon Roundabout in East London, until it was bought by Twitter itself, Tweetdeck is a free must have app for those who love to Tweet. It has a column shaped layout that is somewhat like iOS’s and splits the design up into people you follow, @ mentions and direct messages. You can also add columns, which is great if you have a number of Twitter accounts, and it is a really tidy and carefully thought out app for the iPhone user. Tweetdeck also supports Facebook. Like tweetdeck, this app is not exclusive to Twitter (it does Facebook, Linkedin, MySpace and Flicker also). Seesmic offers all-in-one social media experience, though doesn’t have all your sources competing in an all-out attack and manages each in a clear and concise manner that is easy to navigate. This app’s strong point is the fact it offers push notification support to your Twitter apps – something not all Twitter applications include. It sends you these notifications for DMs, RTs and new followers as well as a number of other things. You can also choose use it for a wide range of other platforms with everything from Facebook, to blogging suites like WordPress included in the mix. If you like your Twitter applications full of features, then this is possibly the application for you. TwitBrid offers users the chance to link up to 16 accounts in its Pro mode which is very useful for using social media for business. It also offers themes, nearby tweet searching, push notifications, geo-tagging of tweets and a whole host of other sorts of tricks to keep you entertained. This app is free with ad support, but you are only able to support two accounts. This Twitter app stands out for a number of reasons and really offers a wide range of features not all others offer. It allows you to view between lists quickly, includes VoiceOver accessibility, full conversation view, ReaditLater, Instapaper and a number of other pleasant additions. It is also quite neat and goes well with iOS. So, though Twitter is an excellent means of communication, there are a number of apps that add to it in certain ways. Whether you want a change, better integration, push button notification, or just don’t want to be like everybody else, there is a Twitter application out there to suit you and your Apple device’s needs. Which one of these apps is your favourite? Is you favourite even listed? Let us know, as ever, via the comments below.